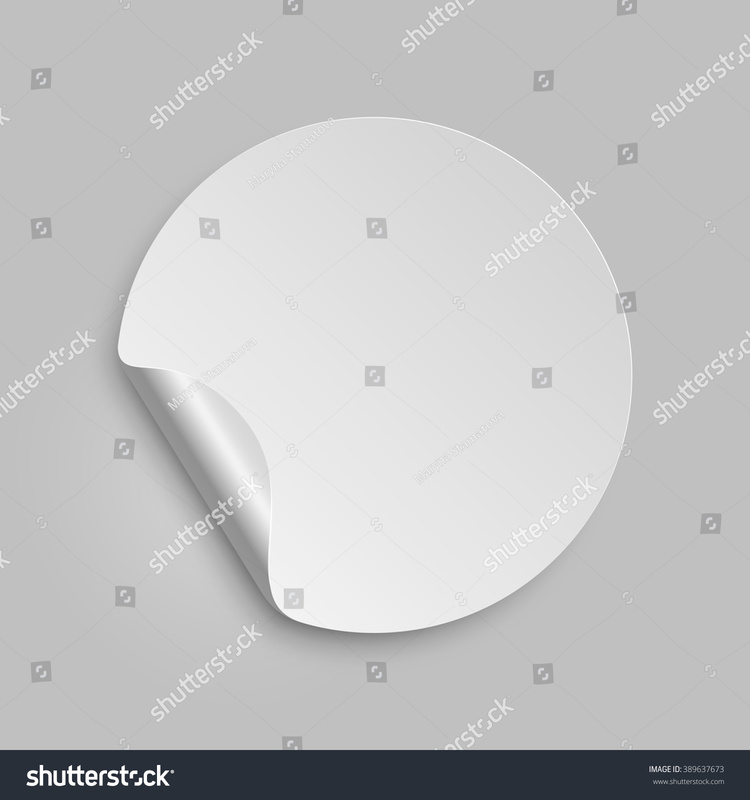 Vector round paper sticker template with bent edge. Isolated on gray background. Vector illustration, eps 10.